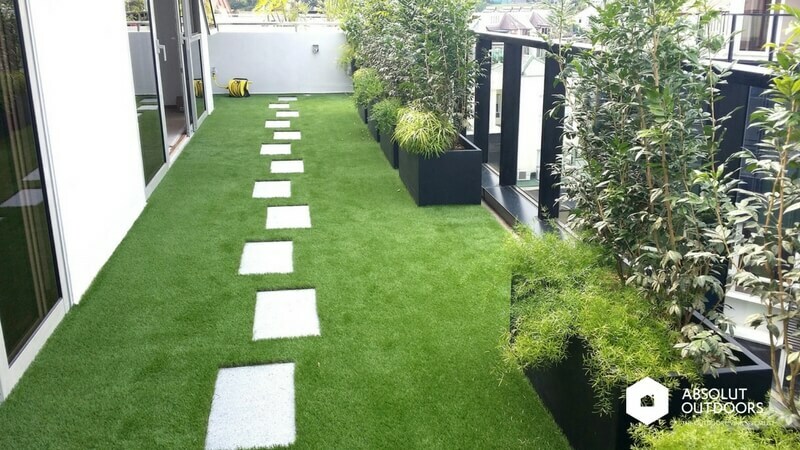 Now that you have installed artificial turf in your balcony, garden, patio or roof terrace, you will appreciate how little maintenance your artificial turf flooring or wall cladding requires. Compared to natural grass, you will not need to water, prune and fertilize your artificial turf flooring. You only need to follow a few simple steps to keep your artificial turf looking fresh for many years to come. 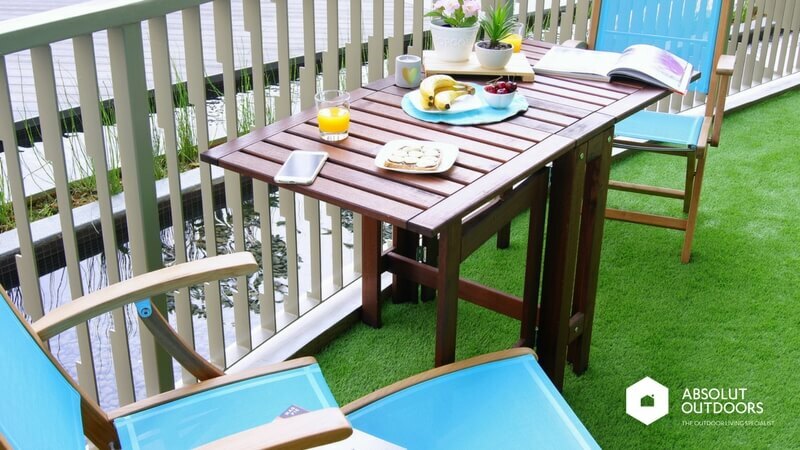 Balconies, roof terraces or patios with artificial flooring always look inviting and is great for entertaining. But what if one of your guests accidentally spill red wine or coffee on it?! Or what if your beloved pet has a toilet incident and ends up peeing on your artificial turf flooring? Have no fear because it takes a lot more that some red wine or pet pee to stain your sports-grade artificial turf that is tough and stain-resistant. All you need to do is to hose down the area with lots of water (which will flow towards the drainage hole, so no flooding there). After that, spray with a mild soapy solution, and wash with some more water and your artificial turf flooring is as good and clean as new. Artificial turf can be cleaned much like your regular indoor flooring. Dry leaves and scraps of paper are the usual suspects that land on artificial turf. For balconies and roof terraces, we recommend that you remove these larger pieces of rubbish by simply picking them up by hand (if there are not that many) or using a rake to scrape all the rubbish to one side before bagging them. For larger areas like gardens, you may wish to get an air blower from the hardware store and blow all the rubbish to one side before bagging them. For artificial turf installed indoors like balconies, you can vacuum the artificial turf flooring and wash with water if you like. That will return your artificial turf to tip-top condition. 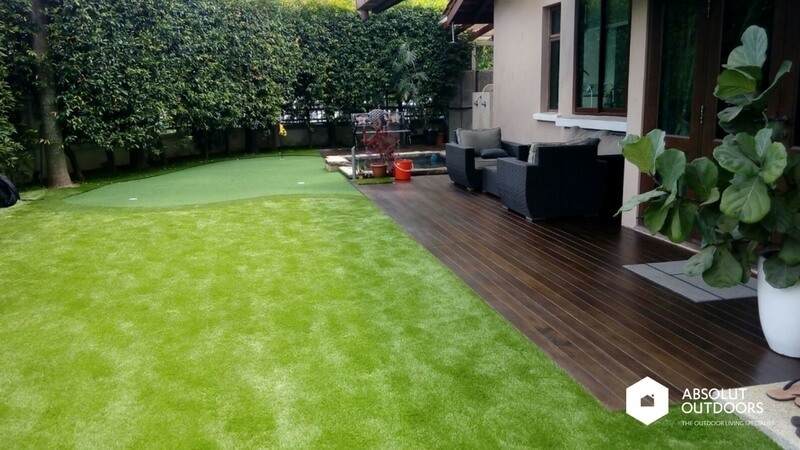 For artificial turf installed outdoors, you can also vacuum the artificial turf flooring, but do so gently to avoid removing the sand infill that goes in between the blades of artificial grass. Constant stepping on your artificial grass flooring can result in “sleepy” blades of grass that lay flat on the ground instead of “standing” like all nice and healthy turf does. When this happens, simply whip out your stiff broom or brush and “wake” those blades up. After that, spray with a mild soapy solution and hose down the area. Checking all seams to ensure that the artificial turf flooring does not have any unsightly gaps. If there are gaps, we will patch them up with additional turf. Checking all edges to ensure that the artificial grass is properly glued down. If any edges are loose or upturned, we will glue them down using the appropriate glue to avoid any potential tripping incidents. 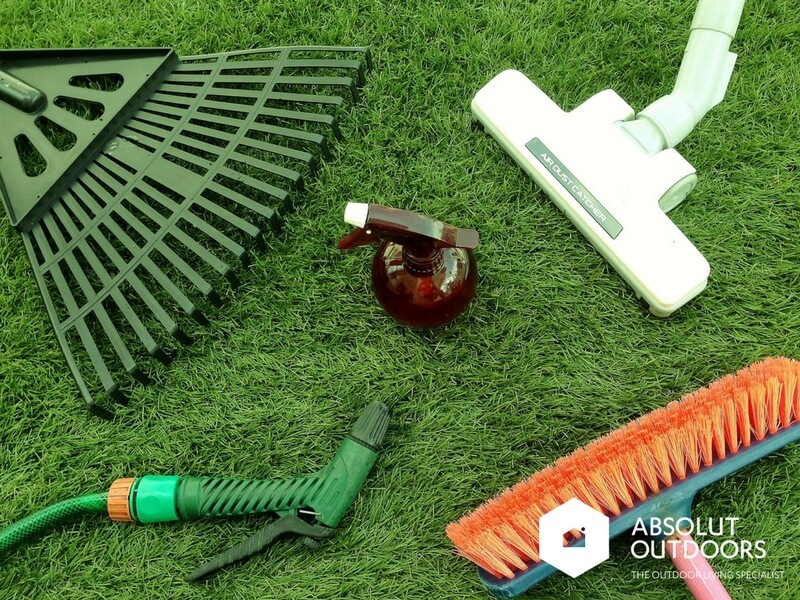 Disinfect the artificial turf with a special solution. Brush the grass blades manually or with a machine, depending on the area. Put in more infill like sand if necessary. 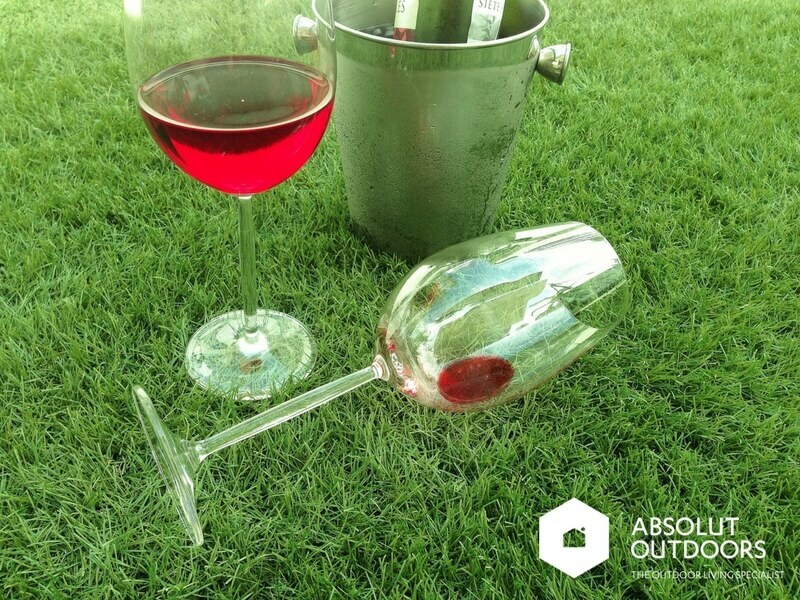 Call us at 67498087 or email us at enquiry@absolutoutdoors.com to find out more today!